Wandlitz, Germany, can be visited on a day trip from Berlin. The city is in the state of Brandenburg about 15 miles north of Berlin. The drive from Berlin to Wandlitz takes between 38 and 50 minutes. Travelers can also take a train from Berlin to Wandlitz. The train takes about 20 minutes. The closeness of Wandlitz makes this a perfect day trip for those staying in Berlin apartments and hotels. The town of Wandlitz was established in 2004 when nine villages merged. Basdorf, Klosterfelde and Prenden are three of the villages. Visitors to Wandlitz can stroll through museums, see historic sites, hike through forests, swim in lakes and sunbathe on the beach. There are places in the area for outdoor sports. German cuisine is served at Wandlitz restaurants. The exhibits at the Agricultural Museum focus on the history of agriculture in the Brandenburg area. A combine harvester from 1937 is displayed here. The Steam Railway Museum is next to the railway station in Basdorf. Items on display here include diesel trains and a steam train. This museum is open on Saturdays from March through November. Museum volunteers are available to run excursions all year. The Museum of Circus Artists in Klosterfelde displays equipment and costumes used by circus performers. The church in Basdorf is one of the historic sites in the area. The church tower dates back to the 13th century. There are castle ruins a mile away from Basdorf. The ruins can be reached by walking through the forest. Wandlitz is next to the Barnim Nature Park. There is a forest in the park. The Wandlitz Lake is next to the town. Visitors can swim and sunbathe here. 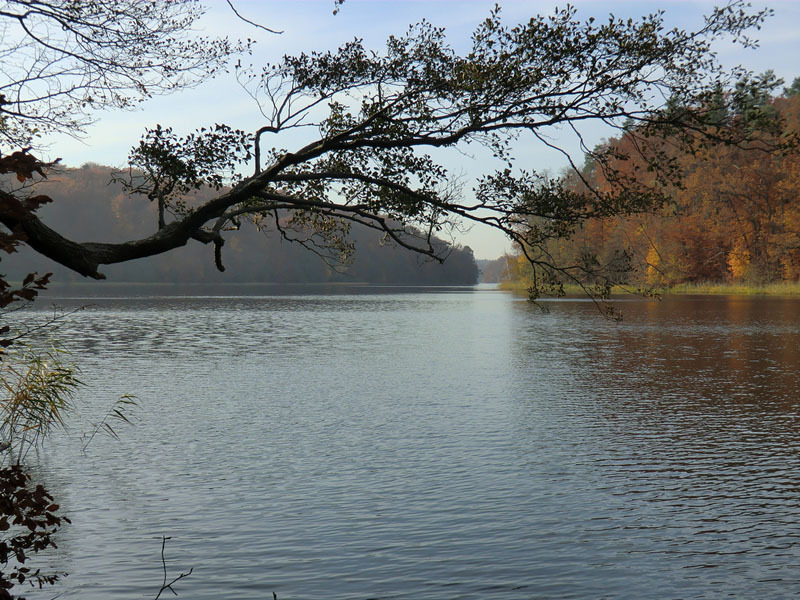 The Liebnitz Lake is about seven miles east of Wandlitz. This lake can be reached by walking through the forest from the train station. Golfers will be happy to discover a golf course in Prenden. Horseback riders will be able to go riding in the Wandlitz area. Items on the menu at the SeePark Hotel restaurant include blood sausage ravioli and grilled pork belly. Roast duck, venison and smoked herring are served at the Landhaus Wandlitz-See. Diners can order Wiener schnitzel and goose breast at the Versunkene Glocke. Looking for a quick getaway? Wandlitz is a great day trip for travelers sleeping in hotels and apartments in Berlin. Berlin, historical capital and Germany’s largest city has many options to keep a traveler busy. While the Brandenburg Gate, Berlin Wall and numerous museums are must see stops when visiting the city, visitors that take a extended stay in one of the many Berlin apartments or hotels around the city will find that Berlin is a great base for day trips to other parts of Germany. If you are interested in going on some day-trips out of Berlin, but are wondering where to go, then check out the following for some ideas. With the following medley of choices the hard part is choosing which one to try. 1. Spreewald Forest – The Spreewald is approximately 100 km outside of Berlin. A UNESCO Biosphere Reserve, it is made up of over 200 little channels, pine forests, alder forests and grasslands. Visitors can explore the Spreewald with punts which are flat-bottom boats. Other ways to see this reserve include bicycling and by hot air balloons. End the day with a trip to the village of Lehde for a walk through the Lehde Pickle Museum. 2. Frankfurt-an-der-Oder – Located 100 km away, in Brandenburg, this town is situated on River Oder and boasts some impressive architecture. Visit the Friedenskirche (1226), the Peace Church, for a look at Gothic architecture at its most impressive. The post office and town hall are two more examples of the Gothic period. On the other side of the River Oder is Słubice, a town in Poland that is easy to put into your day trip. 3. Dresden – Just 2 hours from Berlin is the lovely city of Dresden. Situated along the River Elbe, Dresden is a must for architectural buffs. Buildings such as the Dresden Castle which has Baroque, Classical and Renaissance influences, the Zwinger Palace with its famous moat and the Hofkirche, a Roman Catholic Church, which is one of Dresden’s landmarks are an architectural enthusiasts dream. 4. 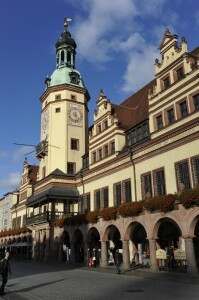 Leipzig – Leipzig is also just 2 hours from Berlin. Germany’s most famous zoo, the Leipzig Zoo, is located here. Visit Pongoland, a large enclosure for primates such as gorillas and orangutans as well as the Kiwara Savannah with giraffes, zebras and flamingos. Other attractions include the Bach Museum and attending a Bar Crawl in the Drallewatsch district. 5. Wandlitz – Wandlitz is approximately 25 km outside of Berlin and boasts a large lake that visitors can walk around. It is a 3 hour walk with charming scenes of the lake as well as some lovely homes. The Lido, on the shores of the lake, is a great place to experience windsurfing, go for a swim on the public beach or go horseback riding. Walking through the town is also a pleasurable experience because of the charming architecture of buildings such as the Lanke Palace and the Church of Schönerlinde. This is just a short list of the many places to see within easy reach for a day trip from Berlin. Taking a extended stay in one of the fine hotels or apartments in Berlin, visitors will find Germanys largest city offers numerous options inside and outside of the city. Germany’s bustling capital city of Berlin is spread out along the scenic Spree River and flanked by a backdrop of historic buildings, castles, Gothic cathedrals and World Heritage sites. Visitors to this great city staying in one of the many Berlin apartments or hotels will find a wide range of eating opportunities. International, American, Italian and traditional Austrian and German fare can be found among the many restaurants ranging from fine dining to casual corner pubs and street side imbiss, or snack, shacks. To get a taste of the culture and vibe of an area, the local snack shacks and outdoor take-out places should be at the top of the list. Alain’s Imbiss, near the U-Bahn railway, specializes in ketwurst;, a grilled sausage smothered in sauce and then placed in a toasted roll. Faithful fans know that the long lines are worth the wait at Curry 36, one of the best places to go for currywurst, curried sausage. Order at the window and then join a neighbor at the high plastic tables outdoors. Sophieneck serves traditional pub fare along with tales of friendly ghosts that enjoy a brew or two. This interesting eck, or corner pub, is a fun choice for a casual lunch or dinner. It is at home among historic buildings, museums and theatres in the middle of Spandauer Vorstadt von Berlin. Try Julep’s New York Bar and Restaurant for a night of jazz and laid-back American burgers, fries, steak and seafood in a casual brick bedecked building. Der Goldene Hahn serves traditional Italian pasta dishes and salads. Outdoor dining is available. A 19th century brewery is home to Maxwell where a world of character blends with European cuisine and an extensive wine list. Dine in the outside courtyard during the warm months. Turnip and saffron soup and lobster and rabbit with mango cabbage salad are just a few of the tempting choices Maxwell’s menu has to offer. Jules Verne, named for the author, has a global menu of novel names and serves breakfast until 3:00 p.m. 20,000 Leagues under the Sea is an orange crab salad with marinated tuna and salmon accompanied by a horseradish and celery mousse. Journey to the Center of the Earth consists of three eggs on crispy fried potatoes and Around the Moon is your choice of eggs, scrambled, fried or in omelet form, served with bread and butter. Other specialties include smoked veal, Provencal fish soup with red mullet, scallops and aioli, chicken satay marinated in peanut sauce and Wiener schnitzel with warm potato salad. Serving Austrian and German cuisine among dark wood antique furniture and a grand piano, Aigner is fine dining at its best. Located within the Sofitel Hotel in Berlin’s Gendermenmarkt place, it offers incredible views of French and German cathedrals and the concert hall Schinkel’s Konzerthaus. Gendermenmarkt place is one of the city’s most beautiful and busy urban squares with shops, fine restaurants, glamorous hotels and many apartments in Berlin. During the Christmas season the square becomes a festive Christmas market. Aigner’s food is locally grown and purchased fresh from the local markets. The menu includes seasonal salads with wild herbs and sprouts, lamb, smoked ham, roasted mullet, octopus, seafood and veal. Specialties include veal dumplings with beetroot and mashed chive potatoes, Wiener schnitzel with potato-cucumber salad and cranberries, organic beef and farm duckling with white cabbage and potato-cakes. Aigner moved from its original home at Café Aigner in Vienna, which was built in 1903 in Vienna’s Linzerstrasse. Closed in the late 1980s, it has delighted many faithful followers with its return to Berlin. Diners can enjoy the open-air atmosphere of the spacious terrace during the summer season. The restaurant is also available for business meeting meals and small events. No extended stay in Berlin will complete without trying one of these fantastic dinning experiences. When visiting Berlin, you might want to take a day trip out of the largest city in Germany and discover other interesting sites in the country. The City of Dresden is less than 200 km south of Berlin and has a rich and storied history. By car, the trip from Berlin to Dresden is about 2 hours and by train, which runs frequently from Berlin to Dresden, takes about 4 hours. Along the River Elbe, Dresden suffered massive damages during World War II from the Allied Forces bombings that virtually destroyed the city. However the city has rebuilt itself and now resembles all of the grandeur that it previously had before the bombings. 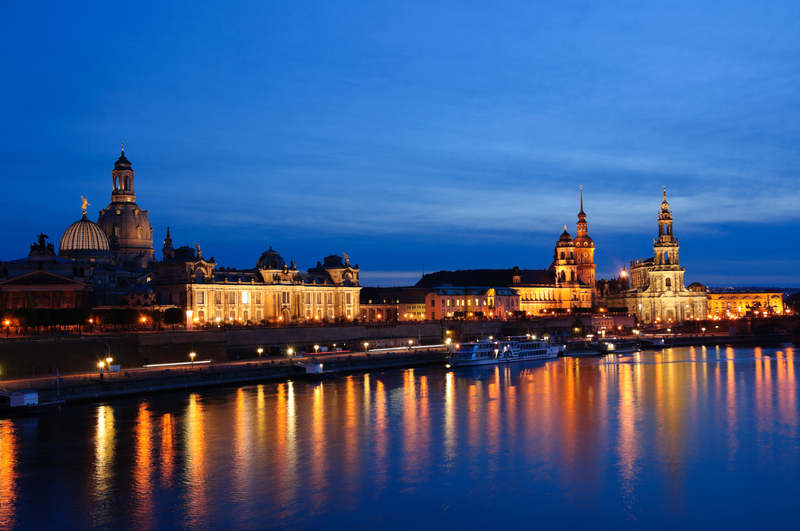 Dresden was once the capital of Saxony, and the city’s history goes back over a thousand years. Today Dresden has reclaimed its status as a cultural, political and economic center of Germany. 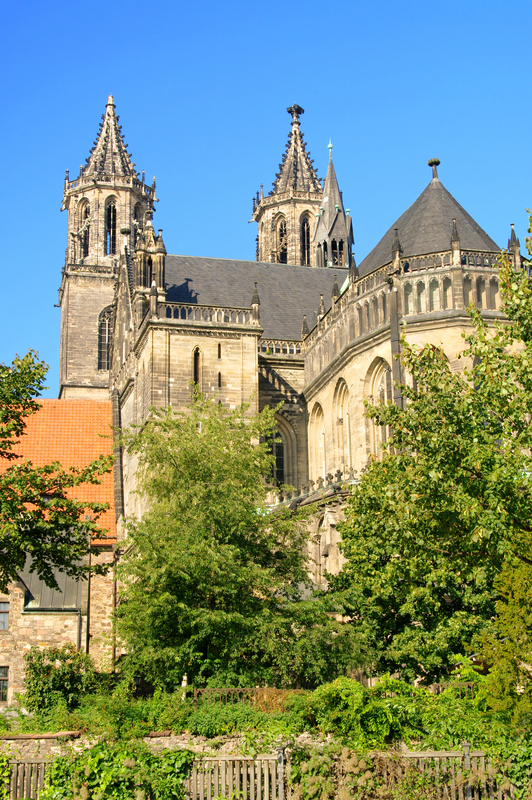 There are several interesting attractions to see in Dresden and perhaps the most important building is the Dresden Frauenkirche, or Dresden Church of Our Lady. The church was destroyed during the bombings that occurred during World War II and took years of rebuilding to its current state of grandeur. Today the church looks remarkably like it did centuries ago. Another important site to visit in Dresden is Der Dresdner Zwinger, or the Zwinger, a Baroque styled palace that is commonly thought to be the premier site in Dresden. Zwinger is considered to be one of the finest pieces of Baroque architecture in the world. Some of its top features are a vast courtyard, which includes the famous Wallpavilion and a number of art galleries. Also not to be missed is the Semperoper, the Dresden Opera House, which had to be rebuilt a few times due to both the World War II bombings and a fire in the 19th century. This site is considered to be the most famous opera house in all of Germany, which features the world renowned Saxony State Orchestra. 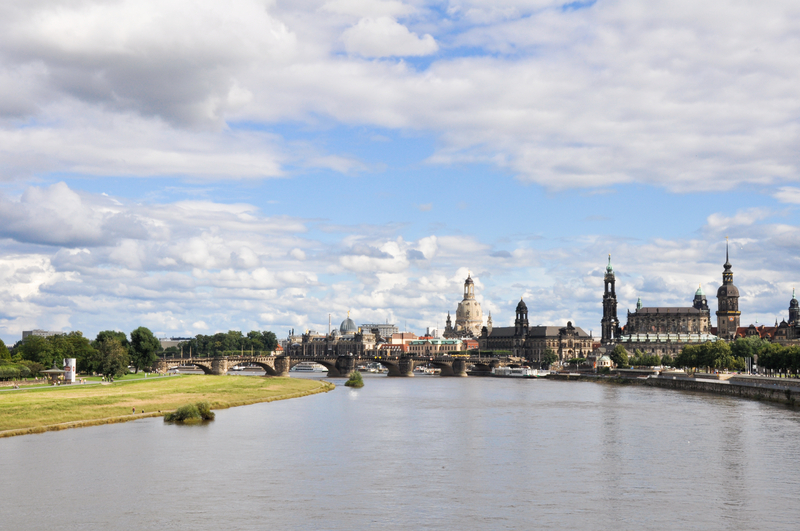 Part of Dresden’s allure is the River Elbe, which stretches nearly 700 miles in length. through both the Czech Republic and Germany. One of the most popular places to visit along the Elbe is the Elbe Meadows. The residents of Dresden frequent the beautiful meadows to have lunch and view the live music that is presented there. If you are looking for great places for fine dining in restaurant, here are a couple choices for your pleasure. The Grand Cafe Coselpalais is nearly 250 years old and is not far from the Dresden Frauenkirche. This fine restaurant is well known for its German-French cuisine and excellent selection of wines. Another great restaurant to consider is the Pulver Turm an der Frauenkirche. Pulver Turm is translated in English to be The Powder Tower. This popular restaurant, whose history goes back nearly 500 years, is reasonably priced and also features a wide variety of fine wines. As you can see, there are plenty of attractions to see and places to dine. This historical city should definitely be on your list if you are looking for a day trip from Berlin. Magdeburg, the capital city of the Bundesland, was once one of the leading medieval cities of Europe. After Germany reunited, it has constantly been modernized with many park and exceptional attractions. It is Germany’s third greenest city. It has many shopping areas, two of the top-rated universities and scientific research institutes. Located in the center of Germany, it is easily reached by train or car. If arriving by air, land at Hanover or Berlin, and then drive in by taking the Motorway A2. Getting around in the city is easy as the ferries, buses, and streetcars all use the same tickets. Magdeburg, being a vital medieval city, has many buildings of different architectural design from that era. The cathedral of St. Maurice and St Catherine, also called the Magdeburger Dom, is renowned for its Gothic Architecture. It was constructed from the 1200 to 1500s on the site of an earlier Roman cathedral. The Abbey Kloster unser lieben Frauen (Cloister Our Dear Woman), which was established in the 11th century, is recognized as of the more important Romanesque buildings in Germany. It is now used for an art museum. In addition to the churches, other significant tourist sites are the Green Citadel, a home planned by architect Friedensreich Hundertwasser, the Millennium tower in the Elbauenpark, and the Kulturhistorisches Museum. Since Magdeburg is one of the greener cites in Europe, bike riding fits well. Bike paths are provided on the sides of the streets, and all the public transportation permits bikes on board. The Elberadweg, a bike path along the Elbe River lets travelers explore the city while enjoying a break at the beer gardens and restaurants that dot the river. River Cruises provided another option for exploring the area. A variety of choices includes a trip along the river to view the city’s skyline, a trip to the town of Schonebeck and cruises at nighttime. Magdeburg is a major retail center and offers many shopping malls. Karstadt, which dates from the cold war, has typical social design. After the Cold War ended, new malls such as City Carre and the Allee Center, were built. The Breite Weg, previously one of the largest shopping avenues before World War II is once again lined with large stores, bars, and restaurants. Just forty minutes southwest of Berlin is the historic city of Potsdam Germany. Made famous in modern times by the 1945 World War II conference, this home to Prussian kings boasts numerous lakes, several significant cultural landmarks and Germany’s largest World Heritage Site. 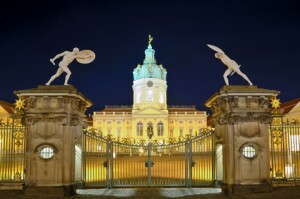 Visitors staying in one of the many Berlin apartmentsor hotels for a extended time, find taking a day trip from the capital of Berlin to Potsdam will be enthralled by the architecture, palaces, gardens and distinct historic districts of this city of higher learning. The first stop for any trip to Potsdam should be the summer home of Frederick the Great. 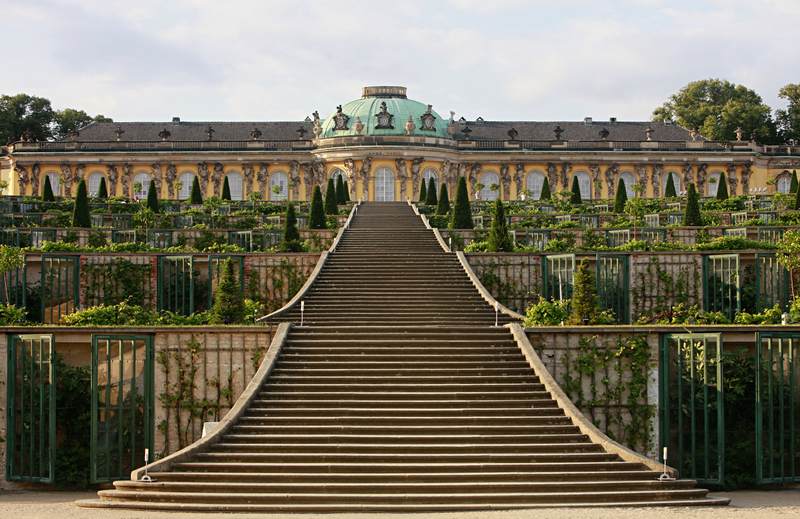 Sanssouci Palace and its terraced vineyards were built in the mid-1700s. Visitors to this German rococo style building can view masterpieces by Panini, Pesne and Watteau. As you stroll through the palace and the adjoining park, admiring the graceful mix of architecture and nature, you’ll understand why this became a World Heritage Site in 1990.Admire the fascinating architecture of the mansions as you wander through the Neubablsberg district. These opulent structures, designed by Grenander, van der Rohe and Muthesius were the stately homes used by Stalin, Truman and Churchill. You can experience the intrigue of the Cold War at the Glienicker Bridge where spies were exchanged. Sightseers can meander through the gabled brick homes of Dutch Quarter and tour the Potsdam Museum and its collection of artifacts reflecting local culture from 17th century to the present. The area is also full of trendy boutiques, bars and restaurants. Visitors will marvel at the ornamental log cabins and Orthodox Chapel in the Russian enclave of Alexandrovka and the history of the German film industry on display in the Potsdam Film Museum. When it comes to dining, Potsdam has a variety that will please any taste. You can spend time in a romantic street café, enjoy a fine meal in a fashionable fish restaurant and then visit a genuine Italian ice cream parlor and partake of the decadence that it has to offer. The cuisine found within the city also includes Greek, Chinese and French. There is a dining experience to please every palate and budget. Potsdam is also home to many institutions of higher learning. It all began when The Royal Prussian Geodetic Institute was relocated to the city from Berlin in 1892. It was here that the absolute weight of the planet was determined. This passion for knowledge continued with the opening of several other colleges and universities that include the German College of Film in 1954 and Potsdam University in 1991. As a result, this college town has a vibrant night life. By staying in a hotel or apartments in Berlin a couple extra days, visitors will find that with its combination of museums, parks, shopping and leisure activities, Potsdam is well worth the thirty five kilometer drive from Berlin. As the capital of Germany, Berlin is a bustling metropolis of over 3.4 million people living along the scenic Spree River and flanked by a backdrop of historic buildings, castles, Gothic cathedrals and World Heritage sites. Best known for its rich and robust history, this beautiful and charming city is also host to a nightlife that simply cannot be matched elsewhere. 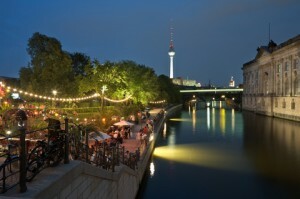 Amongst Berlin apartments and hotels you will find a nightlife just waiting within walking distance. Berlin is home to perhaps the most diverse and vibrant nightclub scene in the world. Berlin’s club scene began underground after the fall of the Berlin wall and became a hotbed for techno music and parties lasting not only all night, but even all weekend as well. Berlin laws do not require clubs to close on weekends, and as a result there is no “set” end to the party. 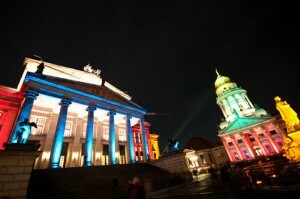 The most famous area in Berlin for nightlife is its Mitte district. The Mitte district has undergone a drastic transformation- once one of the poorest parts of Berlin, this vibrant district is now considered the “soul” of Berlin’s nightlife. With beautiful courtyards hosting a vast away of bars, clubs and restaurants, there is never a shortage of fun and excitement to be had in this lively atmosphere. Another renowned nightlife district in this exuberant city is the Nikolaiviertel district, located at the historic heart of Berlin. 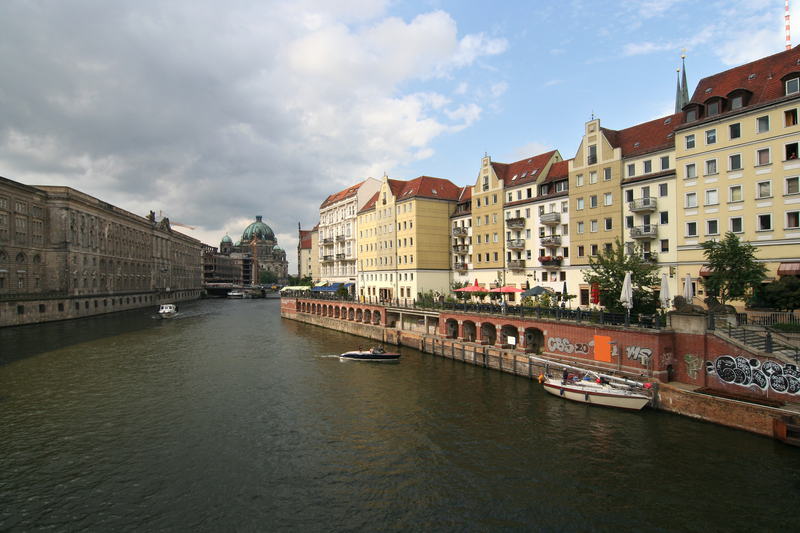 This picturesque area is located on the banks of the Spree River and blends a rich, old-world ambiance with the fun and exhilaration of an energetic nightlife. This area offers abundant opportunities for dining, clubbing and socializing against a historic backdrop like no other. If seeking more “traditional” German fun, head to Victoria Park and experience the lively and fun Golgotha Beer Garden. Located inside the park, the garden does not officially close, and can provide a relaxing place to unwind after an exciting night exploring this city’s vast offerings. Rated as the best beer garden in the area, this hot spot offers up local ambiance with fine German brews. 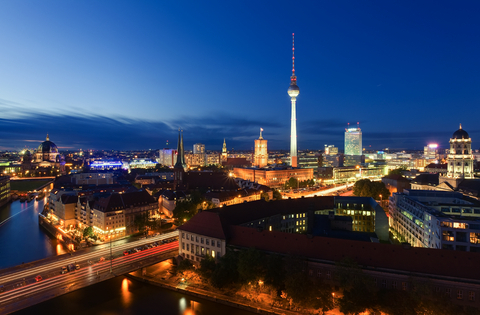 Berlin has a long and robust history, but truly comes alive at night. As one the hottest places for young people in Europe, if not the world, Berlin is host to an amazing array of nightlife hotspots that simply should not be missed. Blending a rich historic backdrop with a vibrant modern culture, Berlin is truly a European gem worth exploring. If you are spending any time in Berlin on your next travel adventure, you most likely will be enjoying the nightlife the city has to offer. There are numerous apartments in Berlin, as well as Inns and hotels that can put you in the center of Berlins nightlife. For more information on Berlin and surround areas in Germany, check out Beachcomber Pete Travel Adventures travel guides. Modern-day Berlin is a cultural Mecca known around the world for its hard-partying antics, world-class culture and high-quality beer and wine. A beautiful city with a long and interesting history, Berlin was officially founded in 1237 with the joining of merchant settlements Cölln and Berlin, which are located on opposite banks of the Spree River. Current day Berlin is built around the Spree River, which runs through the city center. Berlin is the capital of Brandenburg State as well as the national capital of Germany. The city has undergone many transformations in its long history, the most recent being the revitalization of the city following the removal of the Berlin Wall on November 9, 1989, which for more than 28 years divided the East and West sections of the city. Today, Berlin is a fully unified and cosmopolitan city and an exciting destination for travelers. Many Hotels and apartments in Berlin are available, offering visitors a delightful mix of the old and the new, as well as blending many periods of history. Many of the older sections of the city have been restored while other areas are in progress. The city is divided into six districts, each one having its own unique characteristics. Mitte – Formerly the heart of East Berlin and the true center of the city, this area features many museums, art galleries, cafes and restaurants and a lively club scene. There are also many historical points of interest to explore. 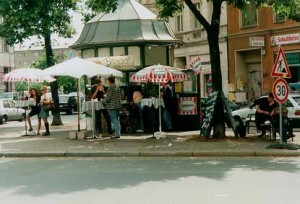 The majority of popular sights are found in Mitte as are many political and media headquarters. City West – The home of the famous Tauentzienstraße, the premier shopping area of Berlin, along with numerous historical landmarks and upscale hotels. The four boroughs of City West are Wilmersdorf, Tiergarten, Schöneberg and Charlottenburg. East Central – A haven for local artists and student activists, East Central features many clubs, bars and cafes along with trendy shops that cater to the unique local clientele. There is a handful of museums in the area near the Mitte district as well. The boroughs of East Central are Friedrichshain, Prenzlauer Berg and Kreuzberg. North – Within the North district are the towns of Pankow, Weißensee, Wedding, Reinickendorf and Spandau, beautiful towns that were once working class but are now primarily residential. Scattered throughout the district are large industrial complexes. The company Siemens was founded there, with a section of Reinickendorf being called Siemensstadt. East – Comprised of Lichtenberg, Marzahn-Hellersdoft and Hohenschönhausen, the East district is home to the Tierpark Zoo as well as many sights related to World War II era Germany, including the former Stasi prison that features a museum and relics from the era. The district is predominantly working class with a few areas of middle class residences. South – The boroughs of South Berlin are a mixture of wealth, poverty, and the quaint old town charm of Köpenick, with its forested countryside and its castle. It is a wonderful place to spend an afternoon biking or taking a stroll. The other boroughs are Neukölln, which is primarily a working class area, Tempelhof which is an industrial area and Steglitz-Zehlendorf, a wealthy area of the city and home to Berlin's largest university. Modern day Berlin is a must see stop on any European vacation, with an assortment of Berlin apartments available, travelers have numerous options for accommodations in the city and surrounding areas of Germany.